Do your shoes smell? 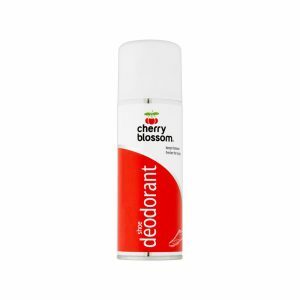 Why not try our Shoe Deodorant Spray? 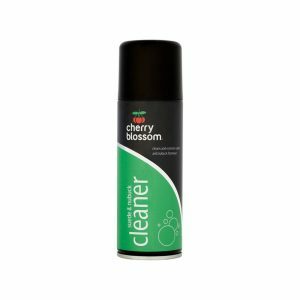 Cherry Blossom’s Shoe Deodorant Spray doesn’t just remove odours from lingering in your shoes – it also prevents odours from forming in the first place! Paired with our odour controlling insoles, this product can help to keep all of your shoes smelling fresh – just the thing for confidently shedding your shoes in public! 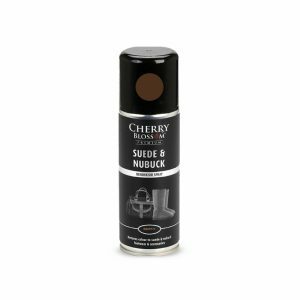 Cherry Blossom Suede and Nubuck Cleaner may as well be called a universal cleaner as it is perfectly fit for cleaning and restoring all types of materials: leather, suede, nubuck, patent. Wax-and-Shine Spray Polish is an easy-to-use 'spray and wipe' product that shines, nourishes, and protexts leather footwear and accessories. Containing a unique blend of waxes and oils to clean and shine all smooth, aniline, and synthetic leathers - including full-grained and patent leathers - this product is an essential part of any effective aftercare.tic leathers - including full-grained and patent leathers.